In today’s UXer Talk, we are honored to have Patrick Wang, the creator of MaxCurve, which is known as “the most powerful curve graphic processing app for iOS”, here with us. 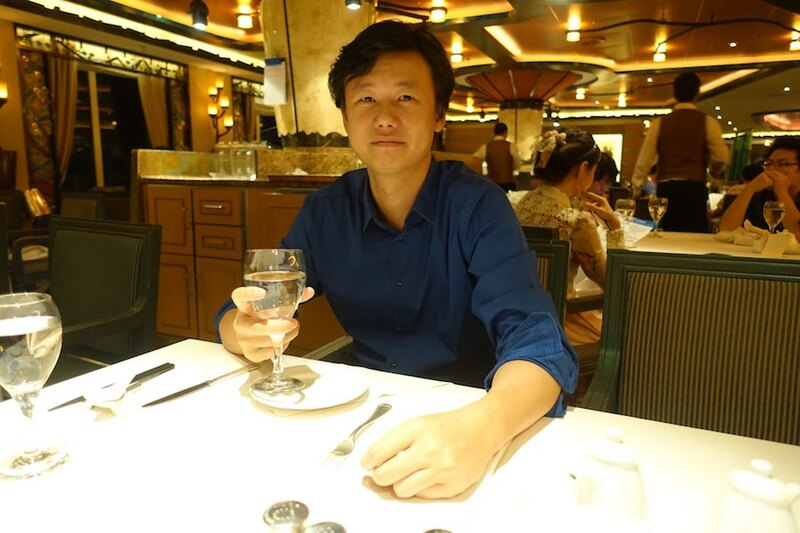 Now, Wang is maintaining the app alone as an independent developer. Recently Wang has released the MaxCurve version 3.0, in which a lot of modifications and optimizations have been made. It’s not something easy to make it just by himself. In this article he shares his experience as an independent developer and his opinions on this identity. Since the first release of MaxCurve, the tool has won a lot of titles, for example, “the most powerful curve graphic processing app for iOS”, “Top 10 Apps in App Store in 2016”, “An mobile-end PhotoShop”, etc. However, It was also be called "anti-efficiency App", "A Tool Not for common users". The totally different comments on this App increase people's curiosity about it, and they want to know the story behind it. How does MaxCurve be developed? Martin: Most of your works are image-processing related Apps. Is it a reflection of your interest --- photography? Patrick: In fact, compared with photography, I like digital image processing better and the development of a digital image product attracts me a lot. I was too busy to study the photography equipment when I was running the company. 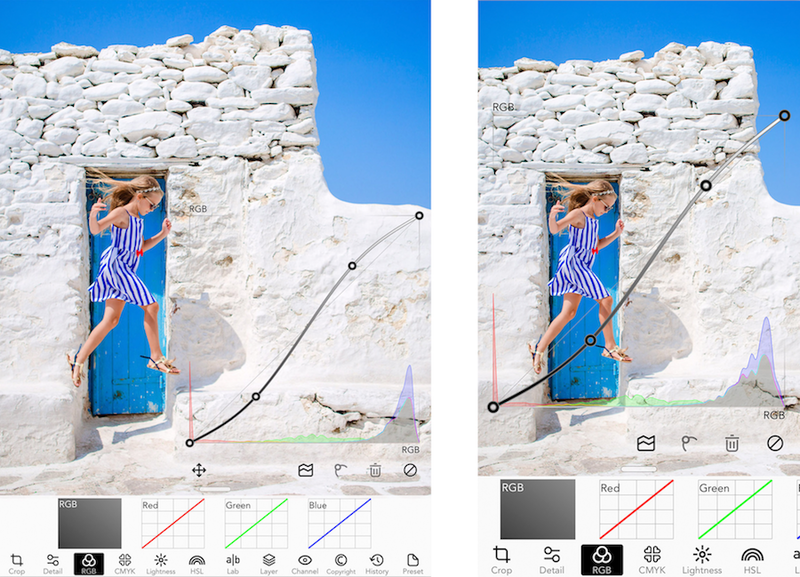 "The reason why I make MaxCurve is that once I saw an App called Darkroom recommended by Apple, I tried it and found that I could make a better one. There are only 4 curves in it and I couldn’t believe that an App like this charges. When I was using it, it occurred to me that I can use a sensitometry curve to serves as the shadow/bloom tool. This is the start of the story. From then on I replaced all the frequently used features with curves and finally there was MaxCurve. Martin: What do you think of “Enlight”? It was quite popular for a time. Patrick: Compared with MaxCurve, Enlight is easier. I don’t know why, but MaxCurve is more and more complicated and professional, for which I made the version 3.0, with an optimized interface layout and more accurate operations. Although Patrick said that some operations in MaxCurve 3.0 have been simplified, but as the tool is made for more professional users at the very beginning, it cannot be called an easy-to-use App with its rich and professional features. Patrick: Many users suggested me that MaxCurve should be made easier-to-use. Now people need to master professional knowledge to use it, for instance, the lab. But as far as I can see, Lab plays an important role. The Luminosity curve is the only one which can adjust the luminance without influencing the saturation. Many foreign experts in the field are using it. In other words, I knew that the target users of MaxCurve would be those with professional skills when I first design it. Once Apple suggested me to do a “global limit free” for it, but I rejected, since it’s a professional tool and I don’t think it will be used by common users. MaxCurve is developed by a team at the beginning, but for some reasons, the team didn’t last. Patrick became an independent developer and started to maintain the App by himself. This didn’t give him more pressure, but on the contrary, lead him a more satisfying life. "Now I work as an independent developer and I can make a living by Maxcurve and some other products, it’s easy to make it now. The summer vacation is coming and I plan to go back to my hometown at the end of this month, and I can do things that I want. This doesn’t mean that it’s easy to be an independent developer. On the contrary, it’s hard to be such a developer who can make a living by this. The 3.0 version took me 4 month to finish it. I made 40 new video tutorials in this version. The screen recording and subtitles took me 2 whole weeks." Products for professional usages should also keep up with the users’ changing demands and industry trends. Except for the daily updates and maintenance, the developers should also know the new technologies and trends to make their Apps better. Patrick said that he had great interest in ARKit, which would be released with iOS 11. In the development of MaxCurve, except for the users’ feedback on the difficulties in using the App, Patrick has also met his waterloo in the pricing of this App. Martin: What’s the biggest difficulty you met in the early stage of developing MaxCuve? Patrick: “I think the biggest difficulty might be the pricing issue we met when the 1.0 was released. You know it’s hard to pay the salaries and support a company, so we really hoped that MaxCurve could help us to stand up then. Unfortunately, it seemed that the decision to make MaxCurve a paid tool with in-app purchase is too hasty, which resulted in a lot of negative feedback, and it had spent us great effort to keep the feedback sound. From this we make the conclusion that we can’t support a company only by making tool software. Martin: Which way do you think has a bigger influence on users? Pay-to-use or in-app purchase? Patrick: You will definitely get negative feedback if the two ways come simultaneously. However, if we don’t charge, the users will be mixed and there’ll be all kinds of demands, so it would be better to adopt the “pay-to-use without in-app purchase” strategy, which will constantly bring users, even though the number is not so large. In fact, as long as you reach the BEP, you can do SOHO easily. Martin: Have you ever considered making a lite version first and gradually leading the users to pay for it? Patrick: Yes. But I didn’t take action. I don’t really believe the conversion since I had tried it but the conversion is low. Apps like Enlight doesn’t have a lite version since there will always be people who are willing to pay for good apps. Good things spread by word of mouth. Besides frames like ARKit, some other things released together with the new iOS, for example, the new recommendation rules of App store. For users, there might be fewer apps listed on the top by cheating, but for most of the developers, since there is no longer entrance to find apps by categories, they have fewer chances to get their apps exposed. "Recently Apple has released the new App Store, which has a great impact on independent developers. I lodged a complaint but there’s no reply. No category displaying places, not to mention the place specialized for photography Apps. You cannot find good Apps collection in 2016. You know, as a white-collar, you need time to make plans, but you cannot find to-do-list related Apps recommended by it. The only thing you can see is the disordered interface and poor list that need swiping horizontally or vertically to get an overview." "The new way has little influence on the users since most of the good Apps spread by word of mouth. But only the top-class designers can get a displaying place on this disordered interface,which, as far as I can see, will affect 95% developers. Now I have 3 displaying places in the photography category, all of which came from frequent recommendations by Apple, but now I have to start everything from scratch. I’m trying to adapt myself to the new rules." Martin: Did you pay more attention to the UX of MaxCurve when developing it or sacrifice UX to some extent for a better UI? What do you think is the most important in the UX design of a graphic processing App? Patrick: I’ve been committed to the user experience for a long time, during which I have made things that are “fabulous”.However, I finally concluded that the utility of Apps come first. Don’t be too different on operations, which will lead to a long learning curve. The users will easily turn to other alternatives. But my product is already difficult to learn since it’s a professional tool. I hope that the 3.0 version can be easier. Martin: What about the design of interface? Did you tend to use the buttons which people are familiar to and put them at the common places? Patrick: Of course. In fact I use not only icons, but also text, as long as there is enough space. I’m not an advocator of simplicity and blank. Yes, that’s good-looking but space-wasting. Now Apps are made better and better, so there’s no time to show your design skills. Martin: So you pay more attention to the utility and you don’t sacrifice the convenience of users for the visual effect? Patrick: Yes. That’s what I think and do.But the precondition is that you should make your product distinctive and know clearly who your users are. Martin：Many of your Apps support multiple languages. How did you finish the translation work of them? Patrick: "I pay for professional translation service. Usually I spent 200 bucks on an App. I tend to make my Apps support most of the languages. Many developers hesitate on whether to translate their apps to some language, that’s because they haven’t calculated the ROI. For example, you spent 100 dollars on translating an App to German, but how much you will earn in Germany market? In my opinions, it’s much better to adopt more languages. You will find that many excellent software or games got negative feedback in China since they don’t have a Chinese version. Many developers don’t take Chinese market seriously, and they have lost many potential users. Martin：As we all know, different words have different length. Have you got troubles in locating the words? Patrick: I’ve been doing it for a long time so in most cases I know how to manage it. For example, I leave more space for along word or use a smaller font size. Martin：What’s your suggestion to developers who want to enter the Chinese market? Patrick: Pay for the translation service.